In My Own Words - Kim Maas Ministries, Inc. Everywhere I travel, I always take a selfie with the congregation to send to my grandson. The course of my life was changed upon hearing the voice of God. The person I’ve become and the path I’ve followed has been continuously defined and refined by prophetic revelation. The call on my life compels me every day. I burn with a passion for God’s people to hear what the Spirit is saying to the church, to decipher the times and seasons and to strategize for the future in order to see God’s kingdom come and will be done.I was born into a Baptist family that attended church a bit more than occasionally. It was in Baptist church that I first identified myself as Christian. I had been to the altar to confess, repent and receive Christ as my personal Lord and Savior, and I participated in public confession and identification with Jesus through water baptism. I honor my roots. 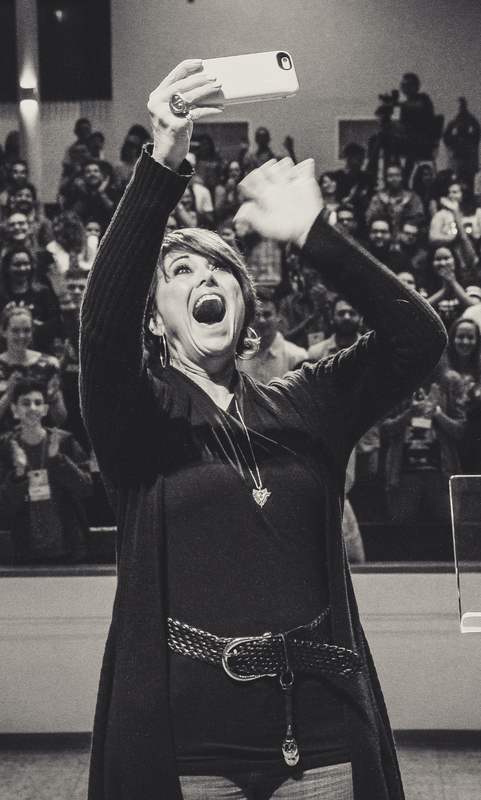 In 1984, in the darkest hour of my life, without any provocation, understanding or expectation, in a time when I couldn’t have been further from my faith, I heard the voice of God for the first time. It was so loud. I believe it was audible. The words were clear and distinct. I had not known that the Lord could speak to me. In all my early years of Sunday school, I had never once been taught that God speaks. It was astonishing, firghtening and inescapable. His words brought me face to face with the most monumental choice of my entire life to that point. I made my choice. I chose Him. In response, God saved my life and my marriage. It was a miracle. In 1994, I was asked to give my testimony at a women’s retreat. I had never been to a women’s retreat. I had never given a testimony. I had experienced God’s voice once and watched him do miracles in my family, but in my mind, I was a Baptist girl. I did not have a Pentecostal or Charismatic understanding of scripture, but I did know God, and I wanted to speak up about what he had done for me. It was at this retreat that I received prayer for baptism with the Spirit, as they called it. A young woman put her hands on me and said some words I can’t remember. I felt hot, felt faint, my knees began to buckle and suddenly, I was sitting in a chair. I could not really hear or concentrate on what was being said to me. Something had happened. I wasn’t sure what. The next morning, I began to speak in tongues. During the communion time that very next morning, quite unexpectedly, I heard the voice – the one from years before. Jesus was calling me to a life of service in vocational ministry. Stunned, shocked and weeping, I said Yes. Suddenly, I began to hear the voice in torrents of instruction. For several hours, He spoke to me. I was told in detail what to do for the next five years and that I was entering into a time of preparation. I had known nothing of the Holy Spirit. I had never read my Bible all the way through. Now, all was changed. I was changed. I was a different woman. I have never turned back. That was March 22, 1994. God is moving on the earth, through all his people, not a single denomination. All have something to contribute. All are needed in this hour. Of this I am convinced and the Dragonfly keeps this in remembrance for me. I am not much of a mystic seeing symbols and signs in everything, everywhere, all the time. However, I believe God gives signs and uses symbols, dreams and visions to convey messages to his people.Why a dragonfly? It certainly isn’t a very traditional or religious symbol to mark service to God or what I mention above. But I didn’t choose it. 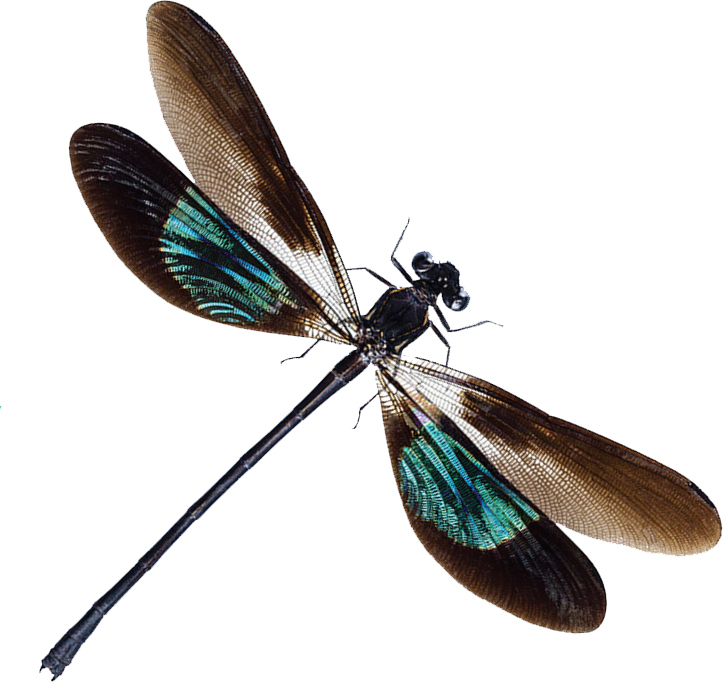 In a vision during a time of prayer, a brightly hued enormous dragonfly flew to my feet. I climbed on its back and it flew to a field filled with flowers. I “knew” we were to gather pollen. Moving from flower to flower, I gathered with my arms until I was covered in bright mustard colored pollen. I was laughing and joyful, and the Lord said, “It’s time for cross-pollination.” The vision ended. As is my practice, when I experience a phenomena like this, I tuck it away to ponder, pray and wait for greater interpretation and understanding of how it applies to my life. Over the next few months, this vision would become very significant to me. Within weeks, I was introduced to key leaders in other “streams” of the Pentecostal Charismatic Renewal movement and invited to participate in various events and studies. I was initially invited because of my Foursquare affiliation and further invited because I had embraced God’s word to me. Cross-pollination had begun.